2018 Japan Foundation United Nations University JFUNU Scholarship for PhD students from developing countries in the field of Science in Sustainability, Development, and Peace at United Nations University ISP, Japan. 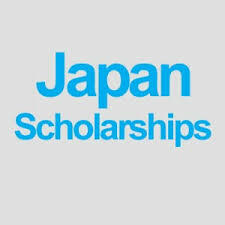 The Japan Foundation for United Nations University (JFUNU) Scholarship is available for outstanding applicants from developing countries who can demonstrate a need for financial assistance, and they will be considered as candidates for the award of the scholarship. The programme addresses pressing global issues of sustainability, climate change, development, peace-building, and human rights through an innovative interdisciplinary approach that integrates the natural sciences, social sciences, and humanities. The programme is intended for recent graduates, professionals, and practitioners, offering the unique opportunity to study at a global university within the framework of the United Nations. It provides students with the knowledge and skills to make important contributions towards solving global issues, whether through employment by UN agencies, other international organizations, governments, civil society, or the private sector. Applicants must be from developing countries who can demonstrate a need for financial assistance. The JFUNU scholarship covers the full tuition fees, and provides a monthly allowance of 150,000 JPY for living expenses for a maximum of 24 months. Travel costs to and from Japan, visa handling fees, and health/accident insurance costs must be covered by the student. Please note that the JFUNU scholarship is highly competitive and offered to a very small number of students who are granted admission to UNU-ISP. Thus, applicants are strongly encouraged to apply for other funding opportunities from the government of their own country, private foundations, or international funding agencies.